The American Amateur Baseball Congress (AABC) began in 1935 as the first national unlimited age baseball program with the aim of crowning a national amateur champion. Over the years, the program has expanded to include players of all ages. The system is designed to be a graduating ladder from the time a youngster first becomes interested in baseball until he reaches the threshold of professional baseball. 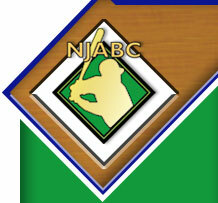 The AABC has placed more players in the major leagues than any other program in America. The AABC is a nonprofit organization formed to promote competition and stimulate interest in amateur baseball among the youth of our county through education, maximum health, and high citizenship values. The AABC is the largest baseball organization in the United States for players above junior baseball age and the only amateur baseball program which provides continuous competition from preteens through adults on a national level. The organization is divided into two essential groups: the national and local programs. The national program is composed of seven regions throughout the country and Puerto Rico and is administered by a President and a Board of Directors. Each of the seven regions represents a group of associations, usually state, depending on the geographical makeup of the region. The local program is formed at the state or association level. It is affiliated and depending upon size, geography, and national approval, may be divided into districts. States and districts are composed of leagues who teams and players are eligible for tournament play. There are national rules for team composition and tournament play. Association may permit more stringent regulations for themselves. Associations elect their own officials and govern themselves up to the tournaments, at which time AABC rules prevail. Since its inception, AABC has maintained a policy of allowing local programs to govern themselves. There is no conflict between national and local rules because local rules are approved by the AABC. The reason for clear divisions between the national and local programs is simple. From years of experience we know that LOCAL PEOPLE ARE BETTER ABLE TO GUIDE LOCAL PROGRAMS. The AABC is always available for consultation if requested, but national jurisdiction begins at the regional level and is intended to maintain equable tournament play. Congratulations to the New Jersey Axemen for winning the 2014 Jackie Robinson 9U World Series which was played in Brownsville Texas in August. Attached is an article from North Jersey Record.